Last Saturday, Mansi and Maria headed off to the Western Foodservice and Hospitality Expo in Los Angeles to hob-nob with some culinary folks and support SCAA members exhibiting at the show. They even let me and Marcus join them on this adventure! In the coffee and tea pavillion, we found superstar barista (and BGA Past-Chair) Heather Perry of Klatch Coffee MC-ing the Ultimate Barista Competition. The winner will be announced today! If a SCAA member in nearby-Mansi and Maria will find them! 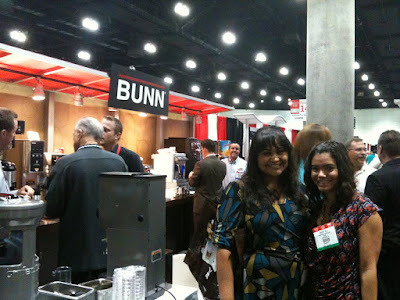 Here they are in front of the Bunn booth. 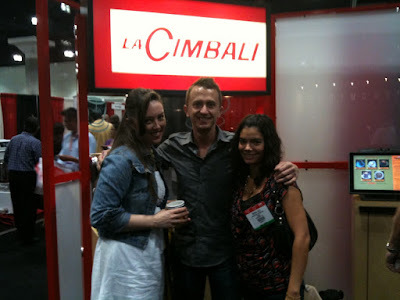 It was a very cool show, and had quite a few SCAA members in attendance. We talked up quite a few exhibitors about our upcoming SCAA Event in April next year and got a great response! 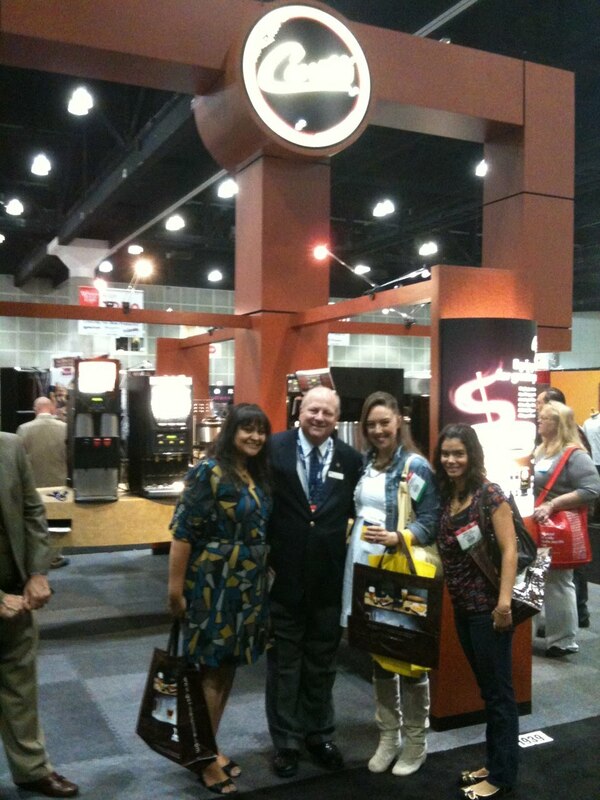 That’s all for now….but be on the lookout-M&M might just be headed to your trade show or coffee shop next!